On Friday, July 8 2016, leaked Rocket League assets were posted in a Rocket League forum. These assets, which can be seen below, are of an apparently planned crate system for Steam, similar to what is in Counter Strike: Global Offensive. A member of Rocket League‘s development team Psyonix has confirmed that these assets are legitimate. Jeremy Dunham, the member of Psyonix who confirmed the assets legitimacy, has also stated that Psyonix planned on debuting the new crate system next month at the Live Finals of the Rocket League Championship Series. As this crate system follows in the wake of the Counter Strike: Global Offensive Lotto scam (which TechRaptor has provided coverage on), Dunham has issued some statements to alleviate player concerns. First and foremost, players can choose not to interact with the new crate system by marking a checkbox in their settings. The new crate system will also not interfere with previously existing item drop systems. These crates will only contain cosmetic changes; Psyonix plans to stick to their policy of not selling gameplay advantages to players. The biggest news for this crate system is that Psyonix will not implement any integration with Steam Marketplace. Psyonix states that they are aware of issues between other games and third-party gambling sites, and do not wish for similar abuses to take place here. This also likely has to do with the fact that Valve is embroiled in a lawsuit for enabling underage gambling, which would have Psyonix attempting to stay away from it. Finally, the new crate system will not interfere with Psyonix’s policy of free arenas, items, and modes, nor with their occasional paid downloadable content. 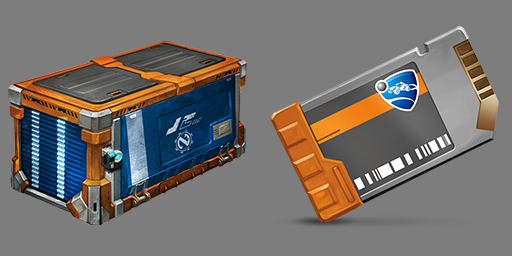 Revenue from this new crate system will be used to fund prize pools for tournaments and future events. There is no word at this time if a similar crate system is planned for the PlayStation 4 and Xbox One console platforms. Durham promised more information about the system will be revealed next month at the RCLS finals. This news follows shortly after Rocket League‘s one-year anniversary celebration on July 7, which saw Psyonix release statistics for their first year of business. Stay tuned to TechRaptor for continuing coverage of Rocket League and other e-sport games.